Typically, racing games come with a story mode that serves as the game’s main, if not the only selling point. These games have social features such as multiplayer races that are great if you want to unlock more cars and/or upgrades, but these races tend to be optional. Racing Fever, on the other hand, is all about the multiplayer experience. 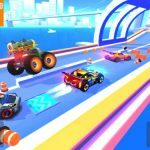 This Android and iOS title from Gameguru bills itself as the “ultimate multiplayer race,” and comes with six different rooms with different prizes for you to win. You can race against your friends, or compete against random players from anywhere in the world. And unlike many racing games that only feature quarter-mile, straight-line races, this game adds the obstacle of traffic, which could make it harder for you to take the lead or retain it. There are a lot of other things for you to do in Racing Fever, such as customizing your ride and upgrading it to make it more powerful. And we can go on about these features. 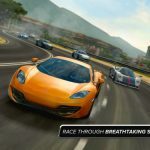 But if you’re hoping to beat more human opponents in this game and race your way up the App Store or Game Center leaderboards, while winning more prizes in the process, we suggest that you read this list of Racing Fever tips and tricks. So far, Gameguru has not done anything to nerf or take away the time lapse cheat, so you’ll want to do this as often as you could while it’s still a valid workaround in the game. So how can advancing the time on your device help you in this game? You’ll be using the time lapse when collecting Instant Daily Rewards, which usually come in the form of coins. Normally, you’ll be limited to one of these rewards per day, but if you set the clock ahead by 24 hours, you can technically get as many Instant Daily Rewards as you want per day. In fact, you can do this trick 30 times in one day, thus giving you 30 of these rewards, though you’ll still want to change your date and time back to normal once you’re done time-lapsing your way to more prizes. Want to get more money fast, and win some items that may make your car even better? One way for you to do this is to follow the quests. They can be accessed in the main menu, and work very well if you want more freebies. These are simple tasks and races for the most part, so you should, by all means, follow those quests so you can, in time, make your car better, and faster. 3. Should You Buy New Cars Or Upgrade Your Current Ride? Some players like to keep it simple by sticking to their current car as long as possible, upgrading it as they go along. That’s good for simplicity’s sake, but if you want to win as many races as possible, you want to be competitive without burning a hole in your virtual pocket. As such, it’s more advisable to buy a new and more powerful car instead. Upgrades can get expensive very fast, so it’s best to buy a new car instead and save more money that way, even if new cars don’t come cheap either. Then again, you won’t always have to pay for a new ride in Racing Fever. You can collect keys and win yourself a free car, though this requires you to be social. You’ll need to have three friends give you their keys, which would then allow you to exchange the keys for a new car. And since you’ll also have a key, you can give this to your friends and return the favor. Just to set your expectations, free cars typically aren’t among the more powerful ones available, but free is always good, and you could find yourself saving a lot of money by being social, adding friends, and collecting their keys. The obstacles in this game can be quite challenging to deal with, but it does pay to drive dangerously and go for a close shave – a near miss, in other words. That means barely scraping another car while in High Speed Driving mode – that’s driving over 100 km/h in the game. The more near misses you rack up while still driving, the more coins you can earn for driving dangerously. 6. Go For The Near Missis Wrong Way Driving Worth It? Racing Fever comes with several modes, one of which is Wrong Way Driving. That’s quite a challenge as you’ll have to drive on the wrong side of the road, thus increasing your chances of meeting another car head-on, and this does sound like the kind of mode that can earn you a lot of coins. 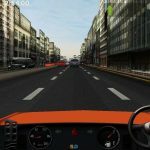 Unfortunately, that’s not the case after all – finishing the timed quests is a much better way to earn money, and is invariably safer than driving the wrong way. Wrong Way Driving, to cut the story short, is just not worth it.